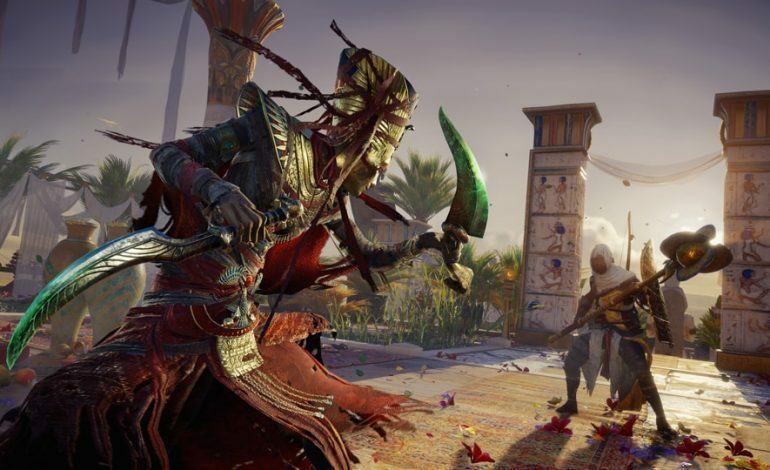 Ubisoft has announced that its upcoming add-on for Assassin’s Creed: Origins will arrive later than originally expected, though not by much. Curse of the Pharaohs, initially scheduled for release on March 6, will now launch the next week instead. In the meantime, Ubisoft also let some details about the DLC slip, including a new gameplay trailer. Curse of the Pharaohs releases on March 13, 2018. Assassin’s Creed: Origins is available for PC, PlayStation 4, and Xbox One; you can check out the new DLC’s gameplay trailer below.